Of all of the metrics available in Google Analytics, bounce rate is one of the most important. It is also one of the most misunderstood. In this article we will explore what bounce rate is, what your bounce rate says about your website, and how you can lower your website’s bounce rate. Google defines a bounce as a single page session on your website. Your bounce rate, therefore, is the amount of single page sessions divided by total sessions. A session is a group of interactions (also known as “hits”) that take place on your website by a single user within a given time frame. So, for instance, if a visitor landed on our site, watched a video, read a couple of articles and then left our site. That would be one session. An example of a session comprised of 6 interactions. A single page session, therefore, is a session where a user lands on one of your webpages, then leaves without interacting with your website further. As we just mentioned, bounce rate is calculated by dividing the amount of single page sessions by the total sessions. Example: Let’s say your website had 100 total sessions last month. If 30 people landed on your website, then immediately left without interacting with your website further, your bounce rate for last month would be 30% (30/100). What Does Your Bounce Rate Say About Your Website? If it is mobile responsive. A high bounce rate is usually an indication of a poor quality website. For whatever reason visitors have decided that your website wasn’t worth exploring further and left without viewing any other pages. A low bounce rate, on the other hand, is usually an indication of a high quality website. After landing on your website, visitors are compelled to keep exploring and learn more about your company. Engaged visitors are what you want. They are the ones who will follow you on social media, sign up for your newsletter and become new leads for your business. Simply put, the higher your bounce rate, the less business you will generate from your website. Using Google Analytics, finding the bounce rate of your website is easy. After logging into your Google Analytics account, you will redirected to your Google Analytics dashboard. From here we want to navigate to the “Audience Overview” report. To get to there first click “Audience” on the left sided menu, then “overview”. This report gives you a general overview of how your visitors interact with your site, including their bounce rate. It also gives you a good sense of the overall quality of your website with metrics like Average Session Duration and Pages / Session. If you want to go further and check the bounce rates of each individual page of your website, navigate to the “All Pages” report by clicking on “Behaviour”, then “Site Content”, then “All Pages”. The Google Analytics “All Pages” report. The All Pages report shows you how each page of your website has performed using key metrics like page views, average time on page, and, of course, bounce rate. Use this report to check for problem pages. A page with an unusually high bounce rate usually indicates that it contains poor quality content and needs to be improved. The last report we will highlight today is the “Mobile Overview” report. This report allows you to see how visitors on different devices interact with your website. The Mobile Overview report is very useful for discovering problems with your website’s mobile compatibility. If you notice that visitors on mobile or tablet devices have an unusually high bounce rate, you likely have issues with mobile-friendliness or performance. To view the “Mobile Overview” report go back to the “Audience” tab, click on “Mobile”, then “Overview”. The definition of what a good bounce rate is changes depending on your industry. As a general rule, anything under 40% is considered a good bounce rate. Anything above 80% is generally very poor. Note: Websites with a bounce rate under 15% are rare and may indicate that Google Analytics has not been properly installed on your website. A high bounce rate is not always a bad thing. In fact, it is sometimes a great thing! Some pages, like your contact page, should have a high bounce rate. People go to your contact page to get your contact information, not to explore your website. A high bounce rate on your contact page is good. It usually indicates that your visitors found the info they were looking for and left. Likewise, a visitor who reads a blog post and has all of their questions answered will typically leave without exploring the site further. They got all the information they needed, so why keep looking around? When Is A Low Bounce Rate A Bad Thing? 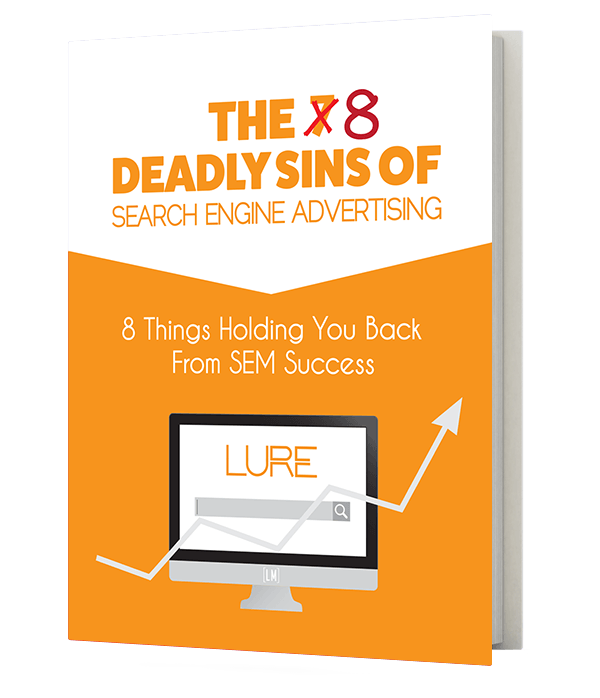 Believe it or not, in certain circumstances a low bounce rate can sometimes be a bad thing. Just because someone viewed multiple pages of your website doesn’t mean that they liked what they saw. What if they were trying to find something and eventually left in frustration? How can you tell if visitors searching through multiple pages found what they were looking for? Look at your website’s “Average Session Duration” and “Pages / Session” in the “Audience Overview” report. If your site has a high pages per session but a low average session duration, you likely have a problem with either poor content or poor navigation. Content that is hard to read is one of the more common reasons why people bounce from websites. Large chunks of text full of long sentences and complex terminology can be very intimidating and hard to follow. If people can’t follow what you’re trying to say, they will leave. You can improve the readability of your site a few ways. Use headings to split your content into more manageable sections. Use bullet points to add clarity to or explain key points. Ask questions to keep the reader engaged. Use pictures to break up text and further explain key points. As we have seen, a blog with a high bounce rate doesn’t always mean it has bad content. In fact, it can mean the opposite. The visitor could have been so satisfied with the information that they left with all of their questions answered. It is a lost opportunity however. Now that you have an engaged visitor, you need to try to get them to take the next step. Add links to related articles to encourage them to keep reading or add links to related lead magnets to encourage them to convert into a lead. Another way to reduce the bounce rate of your posts is with “related posts”. Related posts are small thumbnails with a short description of other posts that are related to the one the visitor just read. They are typically located at the end of the post. “Related posts” are a great way to encourage people to read more of your content, reducing your bounce rate and increasing interest in your brand. Linking to external webpages can be a great way to reinforce one of your points by using data from outside sources. If the new page opens in the same tab as your page, it also causes a lot of people to leave your site. This is simply down to people getting distracted. After clicking to view the new page, some visitors will begin reading the article, clicking more links and reading more articles. Your article is now a distant memory. To avoid this, set all external links to open in a new window. That way when they’re done with the other article, or other articles that were linked to from that article, yours will still be there on the other tab. Not only can a slow website affect your SEO it can also cause your bounce rates to skyrocket. Almost half of consumers now expect a webpage to load in less than 2 seconds. Most will leave if a webpage doesn’t load in 3 seconds. If your website is slow, you are losing visitors. 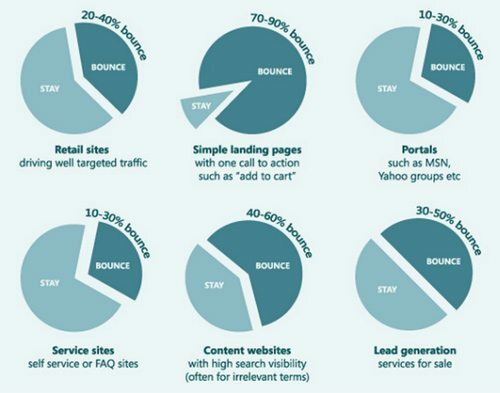 The slower your site, the more people will leave and the higher your bounce rate will be. It doesn’t matter how good your content is if nobody sticks around to read it! 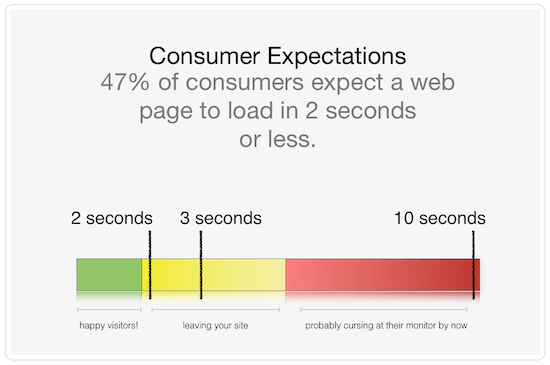 How webpage loading speed affect customer satisfaction. Image by Relentless Technology. Not only will having a faster website reduce your bounce rate, it also has been shown to increase conversions. Simply put, fast websites generate more sales than slow ones. To see how fast your website is, check out Google’s free PageSpeed Insights tool. Over 50% of all web traffic now coming from mobile devices. If your website isn’t mobile-friendly, you’re missing out. A mobile-friendly site is one that changes to correctly display webpages on mobile devices like smartphones and tablets. If your website isn’t mobile-friendly, users on mobile devices won’t be able to view your content properly. This leads to a very poor experience and an increase in bounce rate. Having a website that isn’t mobile friendly doesn’t only affect your bounce rate either. In 2015, Google announced it would start using mobile friendliness as an SEO ranking factor. In what became as “mobilegeddon”, many mobile un-friendly websites began losing their rank on search engine results pages. With time, this penalty has only become worse. 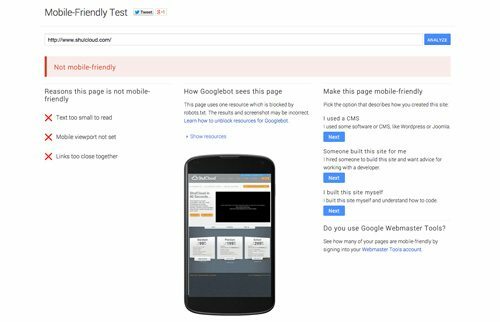 To see if your website is mobile-friendly, check out Google’s free Mobile-Friendly Tool. The problem with a standard Google Analytics installation is that it can only track page views. It therefore cannot tell how long a visitor stayed on a page unless they click through to a second page. To illustrate the problem with this, consider three different visitors. The first lands on a webpage, doesn’t like what they see, and leave after 5 seconds. The second lands on the same webpage, like what they see, stay for over 2 minutes and leave satisfied with what they read. The last lands on the same webpage, loves what they see, stay for over 5 minutes, share the page on Facebook, sign up for your newsletter, then leave without looking at a second page. To Google Analytics these three visitors are all the same. Since it can only track page views by default it can’t see if they performed other actions on the page, such as filling out a form or playing a video. There is also no way to know how long bounced visitors stayed on your website before leaving. Since Google can only track the elapsed time between page loads, visitors that only view one page will be shown to have a time on site of 0 seconds, regardless of how long they actually were on the site. So how can get a more accurate idea of how users are interacting with your website? You could even add a “time on page” event that fires after a visitor stays on a page for a certain length of time. This allows you to finally see how long visitors are staying on you page before “bouncing”. After adding the event tracking code to your website, you will be able to better track non-pageview events in Google Analytics using the Events reports. To view these reports first click on “Behaviour”, then “Events”. For a more in-depth look at event tracking and how it can help you see the revenue your advertising campaigns are generating, see our event tracking article here. When determining the quality of your website design and content, your bounce rate is the first thing you should look at. Along with average session durations and pages / session, it is one of the key metrics that shows you how engaged your visitors are with your pages. Engaged visitors are what keep your business going. They are the ones that stay on your website, read your content, sign up for your newsletters, follow you on social media, and eventually become loyal customers. 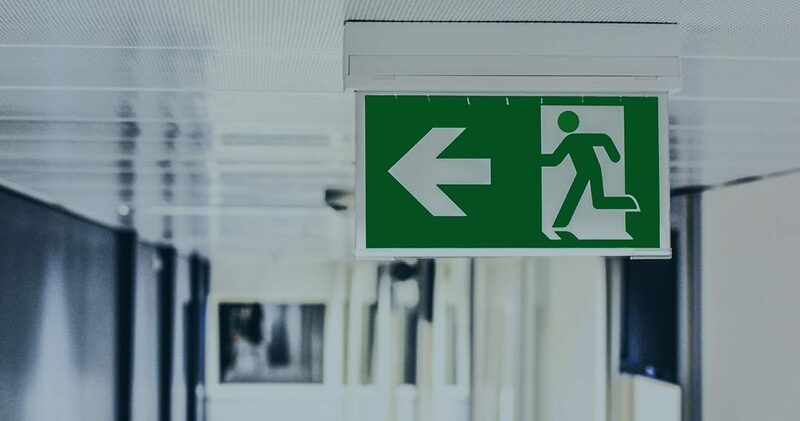 If your visitors aren’t engaged, they will simply leave and find another company to deal with.